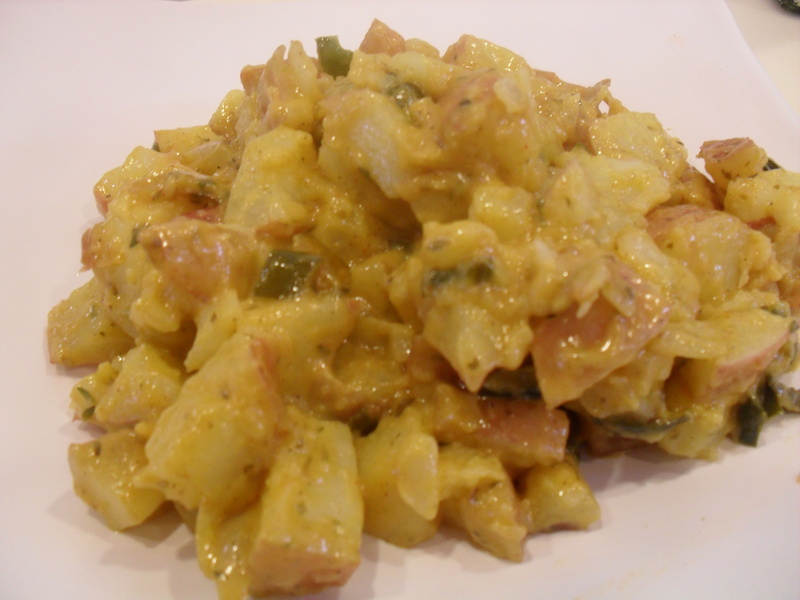 Wash and cube potatoes to desired size. Boil in large pot of water with 1/3 bottle Basting Oil and one teaspoon Sea Salt. 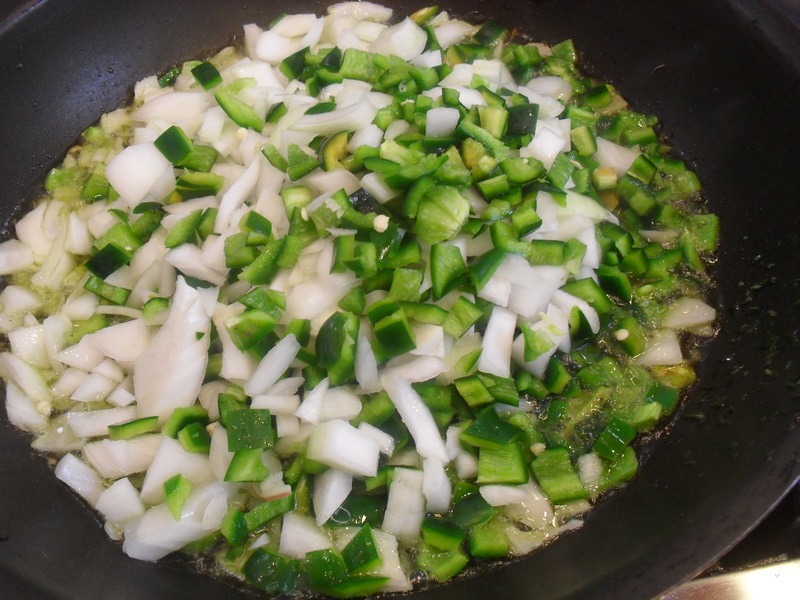 Saute chopped Onions and Poblano Pepper in 1/3 bottle Basting Oil until lightly caramelized. 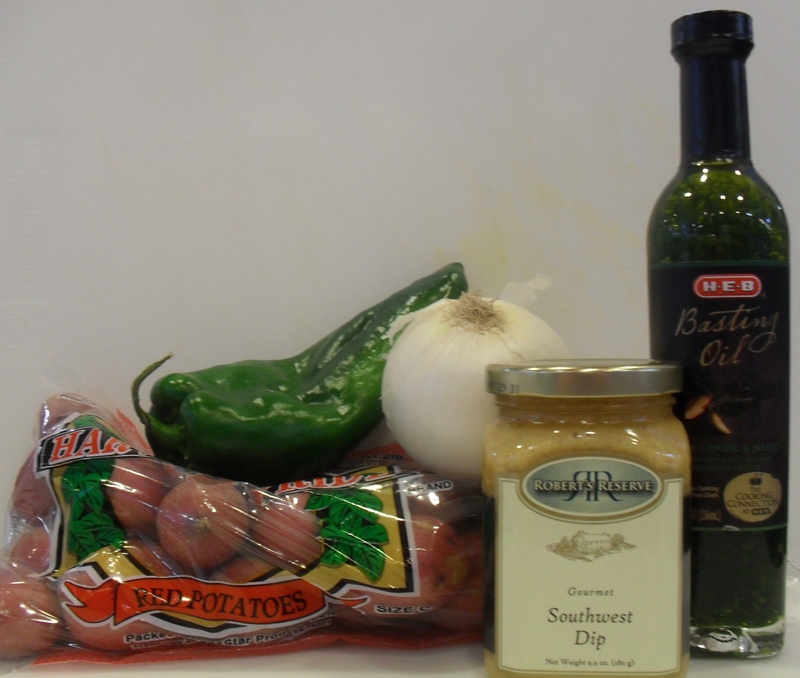 Drain Potatoes and return to pot, mix in Onion-Pepper mixture and jar of Southwest Dip.